MESOTHERAPY treatment for the face and neck area. Electroporation lamp helps support the antiguai aging effects of stress and life. 5 different light modes treating different problems. Skin firming & wrinkle therapy healing eye bags and helping adsorption of creams into the derma layer. 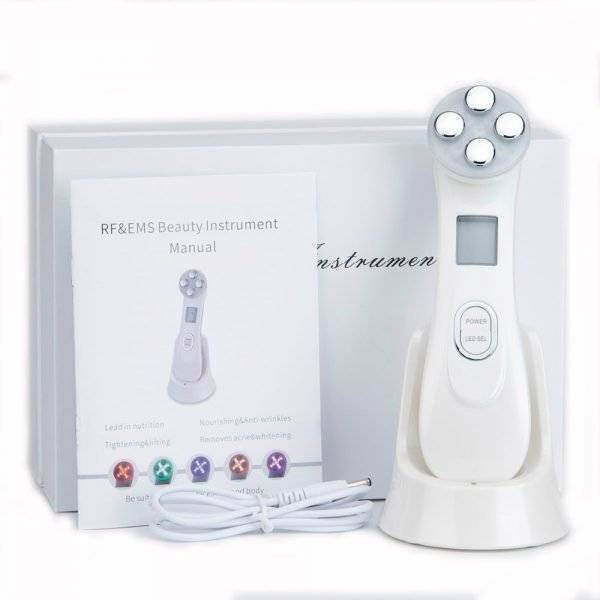 5 in 1 RF & EMS Radio Mesotherapy Face Pen. Face Skin Rejuvenation and Wrinkle Remover. About this amazing NEW product! • nonporous mesotherapy: Using a special pulse caused by the double clicked current, directly leads to the nutrition into the dermal layer of the skin. 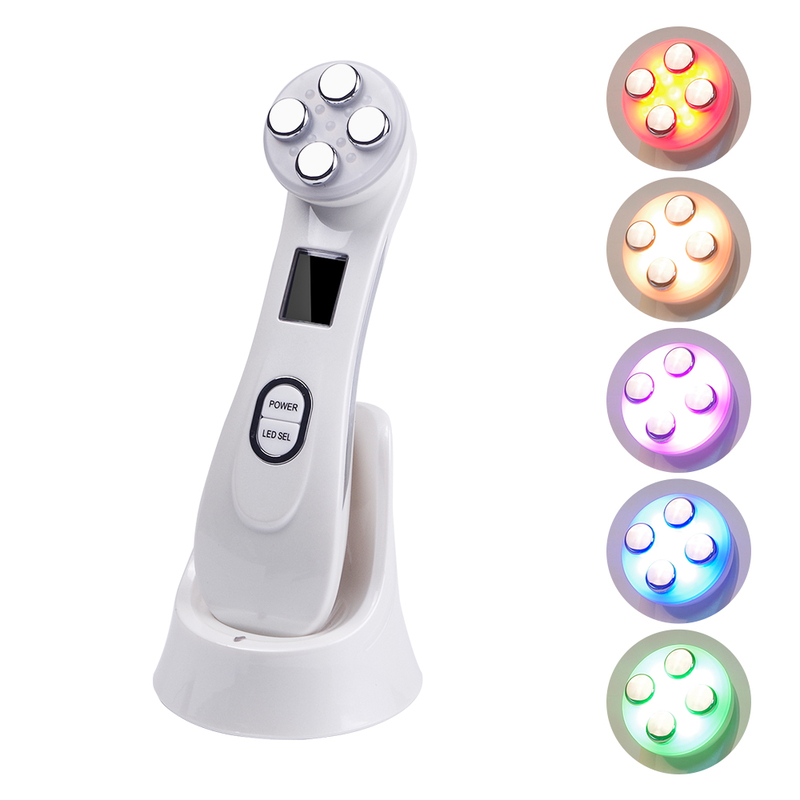 • Electroporation import: Special currents activate the skin cells, making skincare creams and ingredients adsorb 10x better. • RF current: high-frequency electrical resistance heating, effective at improving sagging skin, aging wrinkles, promote lymphatic and blood circulation and other care. • LED phototherapy: repair and heal the mirco gaps of the electroporation, needle-free mesotherapy ultra- fine skin, the skin pores and has calming anti-inflammatory effect. 1. nonporous mesotherapy: using a special pulse occurred by the double-clicked current , directly lead the skin needs nutrients into the dermal layer of the skin, so you do not have to use surgery, can nourish the skin. 2.Electroporation import: through special current open the gap of the skin cells, making the effective skincare cream ingredients directly into the dermal layer.10 times increase absorption through the skin! 3. RF current: high-frequency electrical resistance heating, effective at improving skin deep relaxation, aging wrinkles, through the current effective promote lymphatic and blood circulation, body shaping and other care. 4. The microwave pulse: using four levels conduction and special pulse technology, the AC generates microwaves, sparking muscle contraction, Buddha muscle tissue, firm skin, restore elasticity . 5. 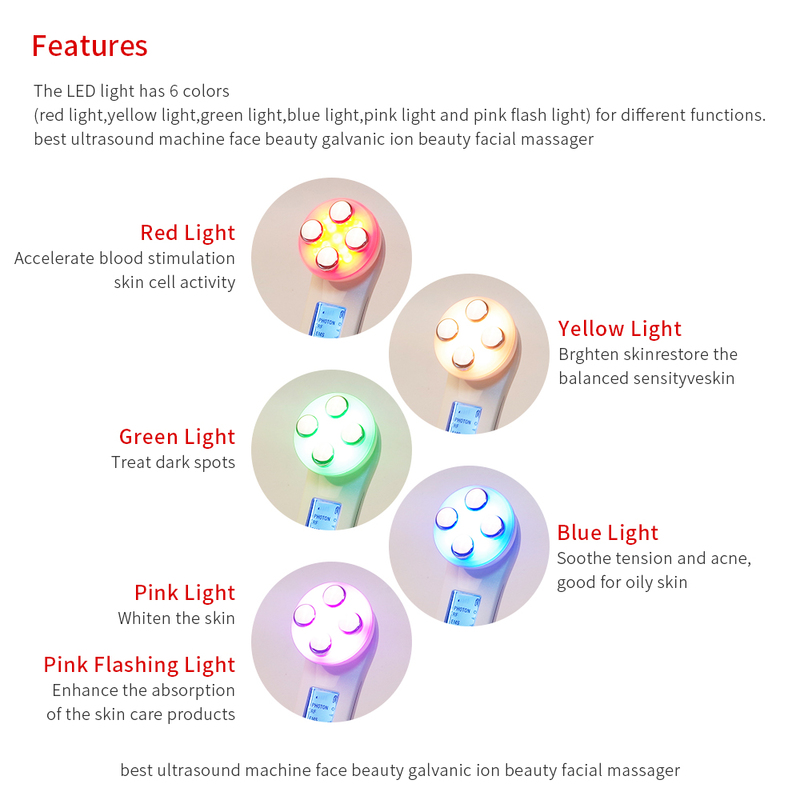 LED phototherapy: LED phototherapy can effectively repair and healing the mirco gaps of the electroporation, needle-free mesotherapy ultra- fine skin, the skin pores and then import the wound period, calming anti-inflammatory effect. Model 1: The 1st time push the LED light selection key, pink lighting. Wavelength: 700nm(+/- 10nm) Whitening skin, fit for dark skin complexion. Model 3: The 3ed time push the LED light selection key, red lighting. Wavelength: 620nm(+/- 10nm) Promote collagen regeneration, skin elasticity, fit for wrinkles for relaxation skin.